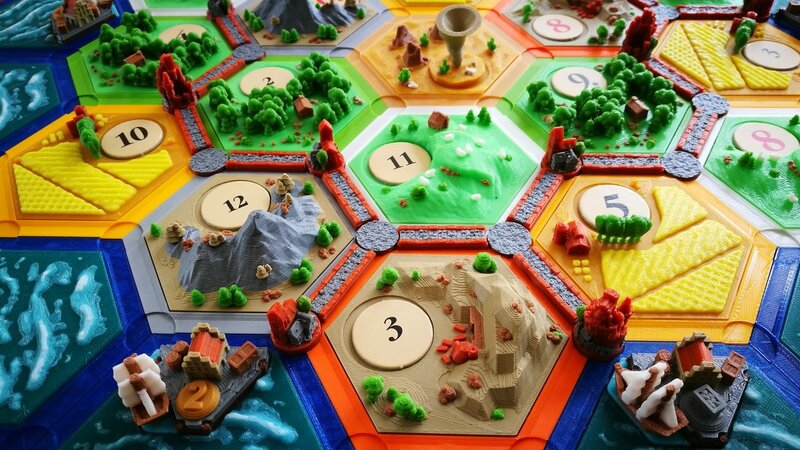 Lovers of tabletop games rejoice! But not before checking out the best sources for 3D printed tabletop stuff. You'll find all kinds of items, from miniatures to storage to board games themselves! The last 15 years have seen a definite resurgence in tabletop gaming. As games have become more popular and more advanced, the desire for customized thematic components and better storage has increased as well. Enter 3D printing, which offers gamers the ability to design and fabricate almost anything they desire to make their games stand out and meet their needs. So what are some sources for stuff you can 3D print to improve your tabletop experiences? Whether you are looking to create your own customized content for tabletop gaming or simply wish to find something great and purchase it, there are a number of excellent sources for material. 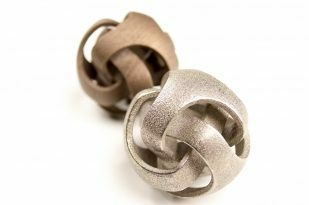 Naturally, there are the industry standards like Thingiverse and Shapeways, but there are also up-and-coming sites with the potential to provide just the stuff you are looking for. The key is to try different sources and search methods, including browsing and searching for specific keywords, until you hit upon what your table needs. In the next section, we will take a quick look at the kinds of keywords one can use. Following that is a list of nine different online sources. 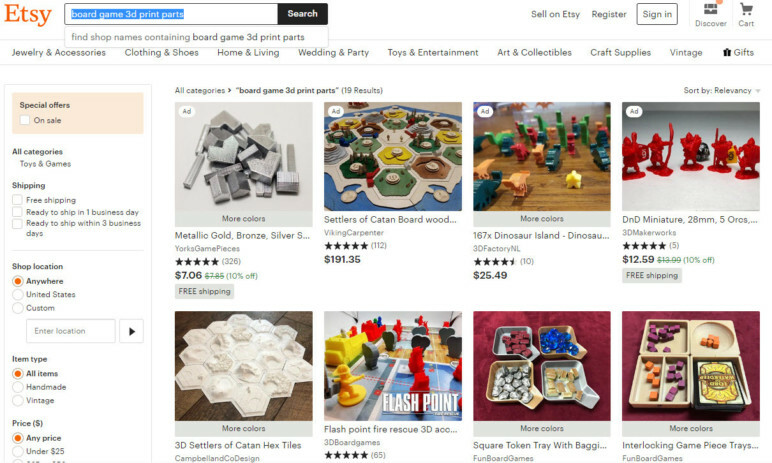 There are a variety of things you can search for when looking for tabletop gaming stuff. Below are some suggestions for keywords or tag parameters. Use them in any of the sources outlined in the next sections (or others you may find). 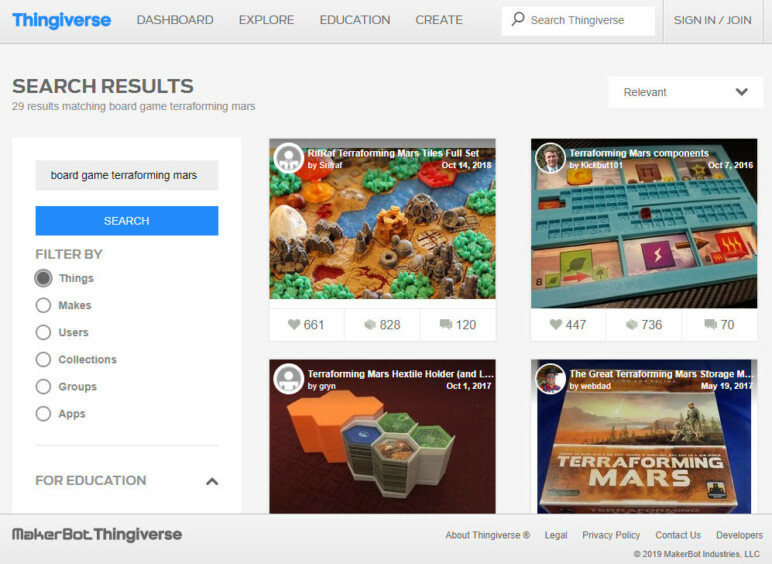 Thingiverse, owned by MakerBot, is one of the most popular sites for 3D models, in general. It should come as no surprise, then, that items for tabletop gaming are also in abundance. Where’s the tabletop gaming stuff? You can navigate to the gaming section from the main page by clicking “Explore” at the top and selecting “Categories”. Then click the “Toys & Games” section image. The resulting page also has a dropdown to further refine what to look for, including “Games” and “Toy & Game Accessories”. 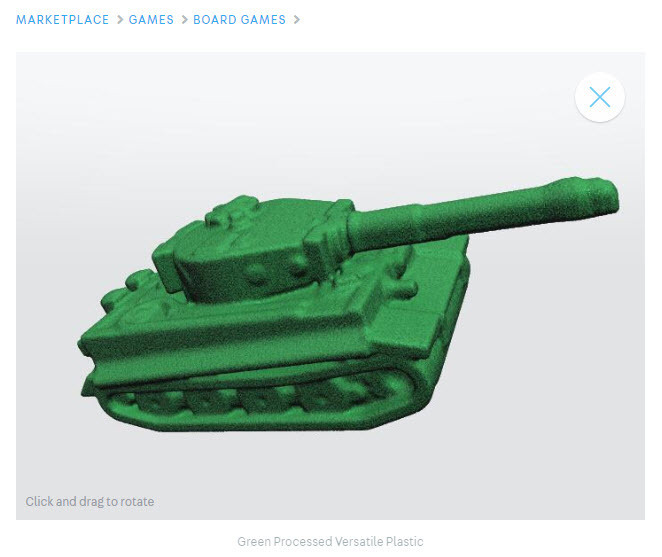 Ease of use: Thingiverse has a lot of great ways to search and find what you are looking for. It is easy to navigate, has a friendly atmosphere, and is unpolluted with ads. 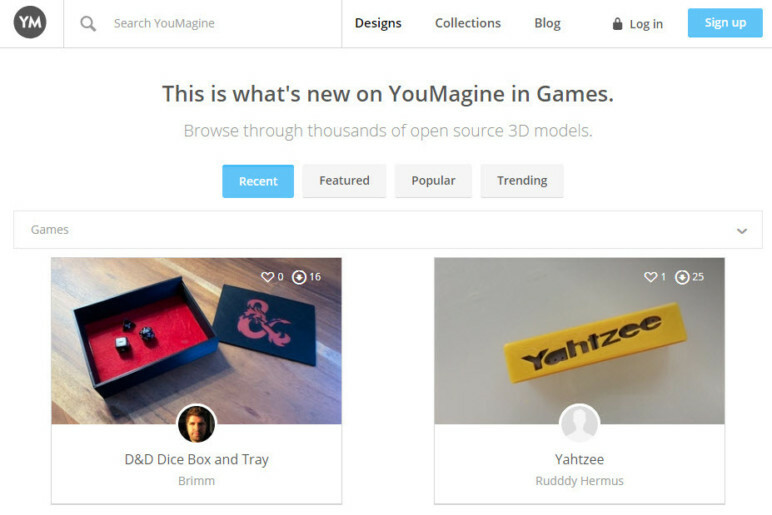 It even has groups for discussing common 3D printing topics, such as specific printers, certain types of objects to print, and even one group specifically for Tabletop Gamers. There are thousands of items available just in the gaming section, so chances are you can find something to meet your needs. Con: Anyone can post stuff, so some models may not be so great. YouMagine has a more homegrown feel than some of the other sites. It also has less tabletop gaming stuff than the other sites. There is some emphasis on showing collections of objects. The search results show where the objects found fall — under Designs, Collections, and Designers. Where’s the tabletop gaming stuff? From the main page, click “Designs” and select “Games” from the drop-down menu. In general, you will just need to search using the terms defined previously. Ease of use: Searching is interesting because it will show you Designs by default, but you can also look at Collections or Designers that are related to the search content. Browsing is a little tricky, as you first see only a few items listed before clicking on “Show More”. Also, the initial browse options (Recent, Featured, Popular, Trending) are interesting but not as helpful as having actual categories of content to help find what you are really looking for. 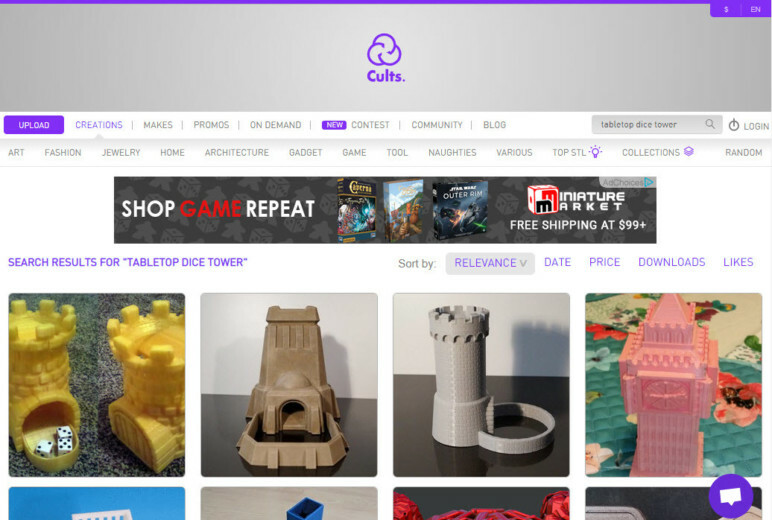 Cults is a relatively new player in the 3D model sourcing space, not affiliated with any particular printer company. Despite the purple web design, which makes it stand out a bit, the layout is a little more modern and almost feels like an art gallery. The focus seems to be somewhat on designers, not just objects. A majority of the content is free or only a couple of dollars, but some of the higher quality and more complex models can be quite expensive. Where’s the tabletop gaming stuff? You have to do some digging around to find material for a specific game. One way to find tabletop stuff is to click on the “Game” category in the navigation area. Otherwise, try searching for a name, “board game”, “tabletop game”, or similar. Ease of use: The interface is simple and navigation is aided by large pictures. MyMiniFactory has been around since 2013 and definitely has a more professional vibe. It is an open community, but their focus is on quality and guaranteeing their files are all printable. The overall layout of the site is clean and the images are large enough to see the objects well. There is some corporate sponsorship for certain areas, but it doesn’t feel overdone or oppressive in any way. Where’s the tabletop gaming stuff? 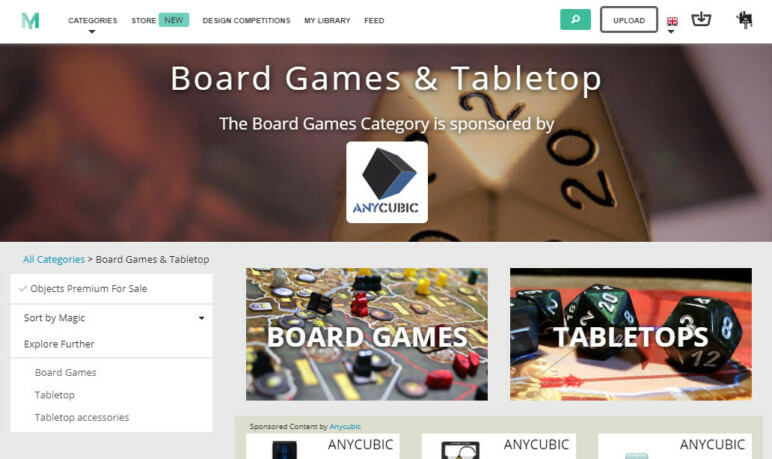 On the main page, hover over “Categories”, then select “Board Games & Tabletop”. There is also a category for “Toys & Games”, but it is mostly just toys and optical illusions. From there, follow the sub-categories as you desire. Also, after you perform a search, on the left side, there is the ability to limit your search to specific categories or items containing specific tags. Ease of use: The site is very easy to navigate. Finding the search refinement tools and using them is a little more challenging but is overall a very nice experience once you learn them. The search results are even grouped into Premium (must be purchased) and Free. 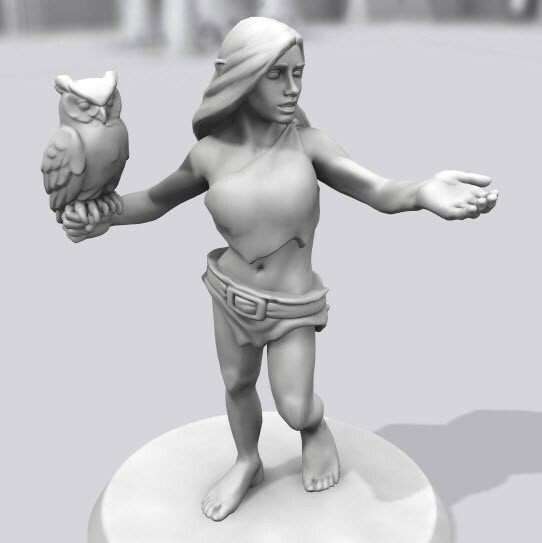 Hero Forge is a strictly paid site which allows you to design your own miniature figures and have them printed and shipped to you. Alternatively, you can download the file for your own use for $9.99. If you are looking for just the right character piece to upgrade or customize a game, this is the place to go. You do not need any design experience, as it is set up with a very simple interface to configure a figure. A sister site called Chibify allows you make a Chibi character and have it printed. However, a downloadable STL is not available at this time. Where’s the tabletop gaming stuff? When you go to the site, the model designer is immediately presented to you. 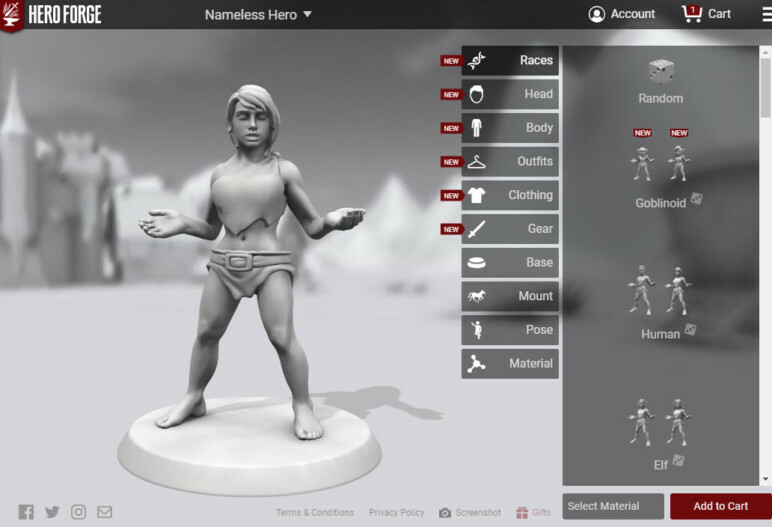 Ease of use: This site works just like a video game character configuration screen; simply pick the race, head, body, clothing, base, and pose by navigating through the visual menu of options. Click to try each one to see the results. When you’re happy, pick the material and add it to your cart. Pinshape was about to close down in 2016 but was acquired by FormLabs to provide an alternative to MakerBot’s Thingiverse. The site seems well suited to the industry but may be struggling again. The tabletop section has some interesting items but is somewhat limited. Where’s the tabletop gaming stuff? On the main site, click the “Toys + Games” category. Just be aware that a lot of game and non-game stuff is mixed together, so you’ll probably need to resort to searching to find what you are looking for. Ease of use: Navigation is somewhat lacking; the toys and games section has a lot of mixed content. There is a filter, but it only helps narrow down by aspects like license type and price, not by keyword. That said, the ability to filter by printer is an interesting option. 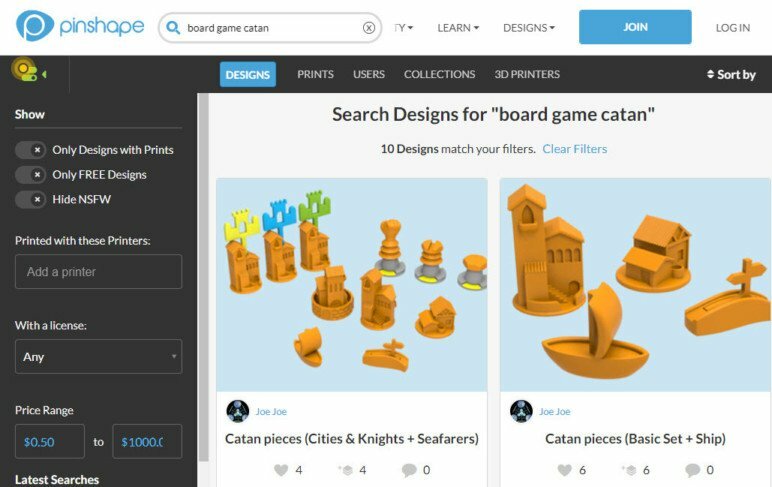 Board Game Geek is not technically a source for 3D print files. However, it has a specific list that is a terrific aggregate of information for game-specific content. The list is indexed at the top, allowing you to jump to a specific letter for game names. There is also a full list of games link. The list contains links to a variety of source material on sites like Thingiverse and Shapeways. Where’s the tabletop gaming stuff? The main focus of the Board Game Geek site is on board game content. 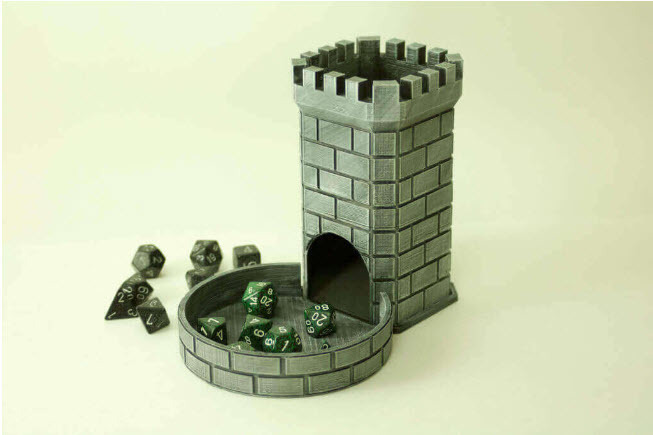 However, this particular list is focused only on 3D printed content for tabletop games. If you’re looking for something for a specific game, this is a great place to investigate. Ease of use: The list itself isn’t really searchable; you simply have to look down the list of games to see if the game you are looking for is there. Etsy is also not specifically for 3D printing. 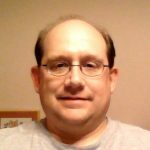 But it does provide a wealth of possibility based on what sellers are currently offering in customized content for tabletop gaming. Where’s the tabletop gaming stuff? Search Etsy per the criteria previously listed. 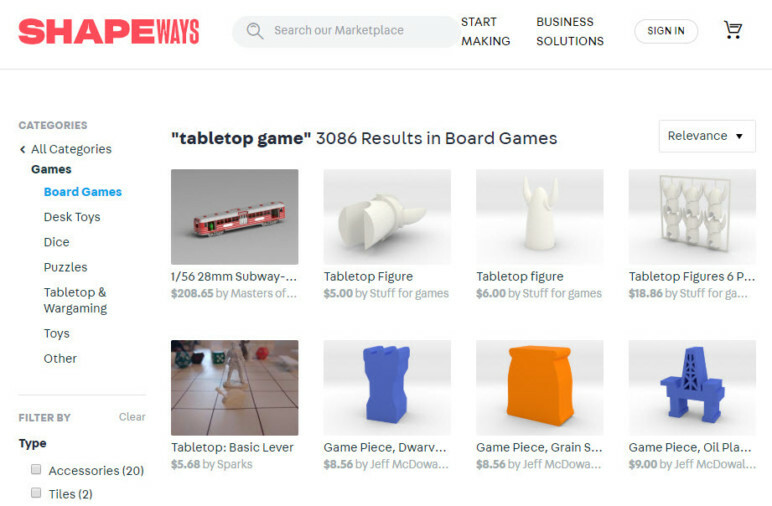 For example, searching for “board game 3D print parts” or “tabletop game 3D print” brings up many interesting options. Note that most of the content is already printed for you rather than providing a file you can print yourself. Ease of use: A simple search presents what you are looking for. The prices and reviews are available to browse and decide what options might be best for you. You can also use the search filters to narrow down based on categories and price. 3D Printed Tabletop Stuff More Sources, More Printing! Even if you have a 3D printer, some of these models can really benefit from a professional touch. For that, consider using a 3D printing service. With Craftcloud, All3DP’s 3D printing and price comparison service, you can find the best provider for your needs. Select from a wide range of materials and finishes, and enjoy on-hand support from industry experts. Save up to 50% by comparing prices from the leading 3D printing services. Simply upload your models, place your order, and leave the rest to us. Thanks to our partners, we provide worldwide manufacturing and delivery. License: The text of "3D Printed Tabletop Stuff – 9 Best Sources" by All3DP is licensed under a Creative Commons Attribution 4.0 International License.